Snapchat isn’t about portraying perfection. It’s a fun and genuine way to converse with friends and family, as well as your customers. If you’re not familiar with the up-and-coming social network, users can send photos and videos to each other that automatically delete from the platform after a specified number of seconds—maximum of 10. The biggest upside of Snapchat? It’s made up of real, personal moments. On Instagram, brands often spend hours editing and adding filters to images and videos in order to send out the “perfect” shot. However, Snapchat photos and videos tend to be much more genuine since they’re taken and sent out in real time and lack all the editing capabilities of other social platforms. And while we’re on the topic, people now spend more time on Snapchat than Instagram. According to Social Media Today, Snapchat has now passed 150 million daily active users, up from 110 million last December. And if you’re trying to reach 18-34 year-olds, there’s not a better channel to focus your efforts on. Up to eight times the number of 13-34 year-olds in the United States view live stories vs. TV for similar events. Tell a story: Snapchat forces you to be short and snappy. Regardless of the medium, your audience looks for brief content that’s easily digestible while in line or on a short break at work. Snapchat allows you to feed customers with the bite-sized content they crave. Behind-the-scenes action: You want to show you are a fun company that’s doing cool things. This platform is a great way for you to share more and also to show your followers the things you’re doing and the events you’re attending. Private content for viewers: Marketers can make a serious impact with product launches using apps like Snapchat. It’s an ideal opportunity to start teasing out videos and pictures of new products. Because these images last a few seconds, you can expect a fair amount of buzz to surge around your new offering. Creating your own geofilter is as dynamic as it is affordable. Businesses and individuals alike can purchase on-demand geofilters for their event, business, or a specific location. Whether it’s for an industry event, a work conference or just a general filter for your business location, geofilters make it easy for users to share real-time photos and videos with their friends. You start by uploading a completely customized filter (1080 x 1920 png file). Snapchat also provides templates you can use as a guideline. R+K had some fun with a Geofilter at this year’s After the After-Party at NAMA in Kansas City. The After the After party runs from midnight to 2am and draws in hundreds of college students celebrating the end of their presentations that have taken place that week. Once you’ve had your design approved, you then choose the location, date and time for Snapchatters to use your filter. Do you want this filter available to the entire U.S. or just those attending your event? Note that the size of your fence affects the cost. In my experience, the fence is very accurate. Ours surrounded the Sheraton Kansas City Hotel at Crown Center and was set to start at 7:00 p.m. The filter became available exactly at 7:00 p.m., and only worked inside the building. Once your campaign is over, Snapchat provides you with basic analytics, including the number of geofilter uses and total views of those uses. 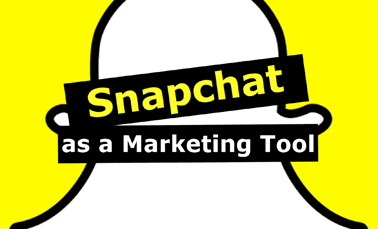 So, will Snapchat work into every brand’s marketing plan? Probably not. But it’s a genuine channel that can make an impact with your followers and strengthen your brand’s point of view with real-time marketing. Did you try our geofilter at NAMA this year? Follow us on Twitter and let us know what you thought.